This recipe has tons of memories for me, it brings me back about 15 years to be exact. I remember when I was roughly 8 years old and in the kitchen watching my mom cook dinner, we made this. It’s incredibly delicious, economically friendly, and really easy to make. It’s also perfect for these cold winter days not to mention you can eat it for breakfast, lunch, or even dinner! Preheat your oven to 350 degrees and spray a pyrex or casserole pan with butter flavored spray and a light layer of shredded cheese on the bottom. If you haven’t already cook the two cups of white rice. If you already have rice in your refrigerator you can use that and put it in a large mixing bowl. In the meantime, heat up frozen spinach in the microwave for roughly ten minutes. Drain it so that there is no water in it and put that into a smaller mixing bowl. Add your eggs, garlic powder, onion powder, some shredded cheese, salt and pepper and whip it up in the bowl with the spinach. Put the spinach and egg mix in the large mixing bowl with the rice. Feel free to add more garlic and onion powder, salt, & pepper, and more shredded cheese if you want for more flavor and binding. Spread mix onto your pan or pyrex and smooth it out. Top with your cheese of choice so it covers the whole entire mix. Put it in the oven for about a half hour and the top is brown. Cut into pieces & enjoy! This is such a great recipe and is super easy especially if you have cooked rice lying around. I’m thinking of even trying it with kale one day instead of spinach. If you make it let me know what you think! 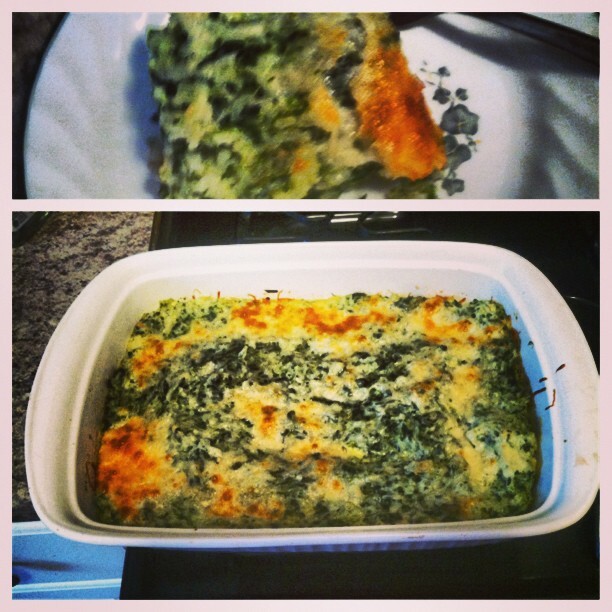 This entry was posted in DIY, healthy, Recipe, recipes, Sara Monica, SCBD, yummy and tagged cheap, deal, delicious, diy, recipe, scbd, small chick big deals, spinach and rice casserole, yummy by smallchickbigdeals. Bookmark the permalink.